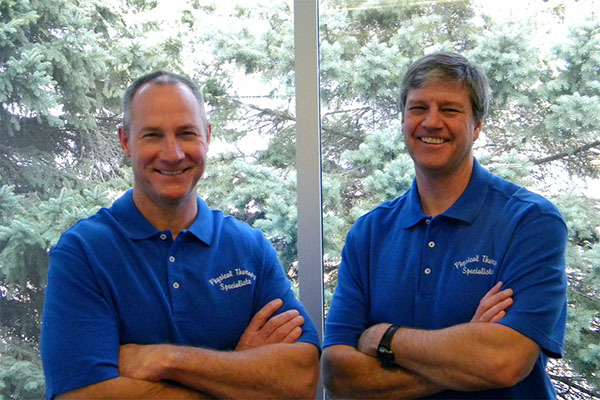 In the City of Sioux City, Physical Therapy Specialists is here to help. We provide a warm customer experience along with therapy treatments which are personally designed to take care of your needs. We also specialize in Vestibular Rehab, TMJ, Trigger Point Therapyt, Functional Capacity Evaluation (FCE), Pre-Employment screening. and we want you to live life to the fullest. More than half of all Americans are suffering from pain. Whether it is a recent episode or chronic, an ABC News/Stanford study revealed that pain in America is a serious problem. However, many do not even know that physical therapists are well equipped to not only treat pain but also it's source. Whether recovering from an injury, surgery, have pain or just can't be as active as you want, Physical Therapy Specialists can help. The right PT can often be the difference in your ultimate success. Physical Therapy Specialists is the preferred provider for many health care specialists because we get the results they want. We are able to do this because of our years of experience, commitment to excellent outcomes through training, and one on one care. We will push you to reach your goals and give the support needed to make it happen. Physical Therapy Specialists is a premier location for physical therapy in Sioux City. We are dedicated to giving you individualized treatment programs and one-on-one care. From chronic pain conditions to post operative care, we are trained to help you win back your active lifestyle. We will accurately identify your specific injury and design a systematic treatment program just for you. We provide a fun and supportive atmosphere to help you work towards your health goals. We also specialize in providing you the time and attention from our highly trained therapy professionals that will assure you get back to a normal active lifestyle. Our goal is to help every patient return to a healthy active lifestyle, as quickly as possible. and set up home exercise programs to prevent the return of symptoms.